The United States is supposed to be enjoying a recovery. Indeed, we’re now supposedly in the fifth year of an expanding economy. Many Americans must wonder why it doesn’t feel that way. In part, that’s because growth has been very anemic. Indeed, this is the weakest recovery since the Great Depression. But it’s also because the labor market has been very weak. Most observers correctly note that there are far fewer jobs than Obama promised if the so-called stimulus was enacted. I think that’s a very fair complaint, but I’m even more concerned about the very troubling drop in the employment-population ratio and the grim data on long-run joblessness. Simply stated, our economy’s ability to generate prosperity is a function of the quantity and quality of labor and capital that are being utilized. So it’s very bad news when millions of workers drop out of the labor force. So how can we rejuvenate job creation? I addressed this issue in a column for The Federalist. Here’s some of what I wrote, starting with a generic complaint that the crowd in Washington seems to think that “more government” is the answer to every question. The discussion in Washington over how best to “create” jobs is a bit surreal. In part, this is a semantic gripe. …jobs are created in the private sector, not by politicians. …Politicians would probably admit that they simply want to “create” the conditions that lead to job creation. But even by that more realistic standard, the Washington debate often is surreal for the simple reason that too many politicians think that a larger burden of government will boost job creation. President Obama clearly is guilty of this form of hubris. I touch on several points in the article, but this excerpt highlights his ongoing fixation on Keynesian economics, which I’ve previously referred to as the perpetual motion machine of the left. President Obama, for instance, routinely urges more government spending to “stimulate” job creation. …The new outlays, we are told, inject money into the economy and jump-start growth, leading to more jobs as businesses increase production in response to higher demand.The problem with this argument, as explained in an earlier Federalist article, is that government can’t inject money into the economy without first taking money out of the economy, either by borrowing or taxation. This is why Keynesian spending didn’t work for Herbert Hoover and Franklin Roosevelt in the 1930s, Japan in the 1990s, Bush in 2008, or Obama in 2009. But the me-too crowd on the right commits the same sins. While the left has bad ideas and has delivered poor results, some proposals from the “right” aren’t much better. Consider a recent article in National Affairs by Michael Strain of the American Enterprise Institute. Entitled “A Jobs Agenda for the Right,” the piece is filled with proposals that are distressingly reminiscent of the big-government-lite platform of pre-Reagan Republicans. You can click on his article and see for yourself. You’ll find some good information on how the job market is very weak. He writes that “conservatives should see that there is a role for macroeconomic stimulus.” …He claims, for instance, that “government spending can support economic growth during a recession” That Keynesian statement sounds more like Brookings than AEI. He also has Obama’s faith in “shovel-ready jobs,” extolling “the desirability of a multi-year program of high-social-value infrastructure spending.” …He wants to finance additional spending, at least in part, with higher taxes, suggesting “a reining in of tax expenditures.” There’s nothing wrong with cutting back on tax preferences (properly defined), but the money should be used to lower tax rates rather than expand the burden of government spending. …he endorsed extended unemployment benefits – notwithstanding the wealth of evidence that such policies encourage joblessness. To be fair, he does list some ideas that are good, as well as some that are mixed, but the unambiguous message of his article is that government needs to play an activist role to boost the job market. Needless to say, I offer my prescription for job creation and suggest that we go in the opposite direction. I make (what should be) an elementary observation about the conditions that are necessary for businesses to hire new workers. [Jobs] are created when businesses think that the amount of revenue generated by new employees will exceed the total costs (including those imposed by government) of putting those people on the payroll. And I elaborate on this point, quoting myself in the article (and now I’m quoting myself quoting myself, which is definitely a sign I’ve been in DC too long). It may not be an agenda tailored to appeal to politicians, who generally want to be seen as “doing something,” but the best way to create jobs is to get government to stop trying to help. Free markets and small government are far more likely to produce the conditions that lead to more employment. In other words, let the private sector flourish. The pursuit of profit is a powerful force for growth. To quote one of my favorite people, “businesses are not charities. They only create jobs when they think that the total revenue generated by new workers will exceed the total cost of employing those workers. In other words, if it’s not profitable to hire workers, it’s not going to happen.” …If we really care about workers, particularly those without jobs, the most compassionate approach is prosperity rather than dependency. And that means free markets and small government. Which is the direction we headed during the Reagan years and Clinton years, when we enjoyed very good performance in labor markets (as illustrated by this Michael Ramirez cartoon). But the 21st century has been very bad news for economic freedom. P.S. In a postscript last week, I shared a very amusing image of Obama and Putin on a horse. In that same spirit, here’s a phone call between a statist who doesn’t respect the rule of law…and another statist who doesn’t respect the rule of law. 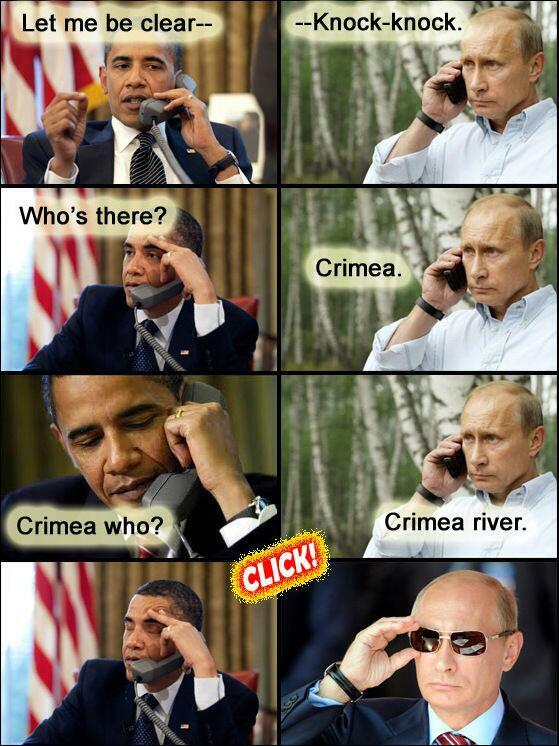 I’m not sure whether this is better than Obama’s NSA phone-tapping conversation, but still amusing. By the way, it goes without saying that this doesn’t imply the United States should be intervening. You can read my thoughts here. Creation of jobs requires 2 types of people. The producers and the consumers. So you could say that there are elements of supply and demand. Give america the right to : END ALL GAY & LESBO RIGHTS! create thhis particular submit extraordinary. Magnificent activity! It’s right to be concerned about unemployment in today’s world. We have (globally) a vast group of young people who will probably never work in their adult lives, irrespective of whether they are academically sound or have the right skill sets to enter the labor market. There simply is not the jobs for them to do. Consider also, those who are currently in employment, who don’t have the academic qualifications or the skill sets needed for tomorrow. In the next few years, they too will be both unemployed and unemployable. An interesting world ahead of us. Simply stated, the economy’s ability to create prosperity is directly proportional to the personal rewards involved in productive behavior. That is especially true for highly talented individuals whose productivity may be orders of magnitude higher than average — and by orders of magnitude, I mean one hundred, one thousand, ten thousand or even a hundred thousand times higher than average. Without that motivation, we become an unexceptional run of the mill welfare state and our economy converges towards the world average. That is the process we are going through right now and it’s too late to reverse course. Underneath the cacophony and fractal behavior of various economic measures we see the fundamentals of long term decline: a fundamentally slower growth trendline. A slowdown caused by the flatter effort reward curves of redistribution and the unimaginative inefficiency of “one plan must be followed by all” socialist dirigisme. ((B) Place a higher value on local equality, engage in the redistribution politics if envy, become a run of the mill redistributive state, and descend into the true middle class; the worldwide middle class prosperity levels. The process of other middle classes reaching the prosperity levels of the American middle class — and thus de-facto sink the American middle class into worldwide averagedom — will be a painful process. Painful for the American middle class, that is. But that’s the main geopolitical and enduring one-way change that HopNChange is really about in the mid-long term.